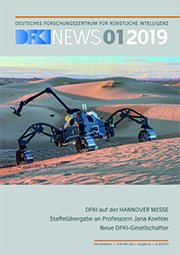 In: Wil van der Aalst, Fabio Casati, Raffaele Conforti, Massimiliano de Leoni, Marlon Dumas, Akhil Kumar, Jan Mendling, Surya Nepal, Brian Pentland, Barbara Weber (Hrsg.). BPM 2018 Dissertation Award, Demonstration, and Industrial TrackProceedings of the Dissertation Award, Demonstration, and Industrial Track at BPM 2018. BPM Demo Track (BPMTracks-2018) befindet sich 16th International Conference on Business Process Management September 9-14 Sydney NSW Australia Seiten 106-110 Online Proceedings for Scientific Conferences and Workshops (CEUR-WS) 2196 CEUR-WS 9/2018. ISBN 978-3-11-056137-1 De Gruyter Berlin 8/2018. In: Proceedings of the International Conference on Advanced Visual Interfaces. International Working Conference on Advanced Visual Interfaces (AVI-2018) May 29-June 1 Castiglione della Pescaia Italy ISBN 978-1-4503-5616-9/18/05 ACM 6/2018.